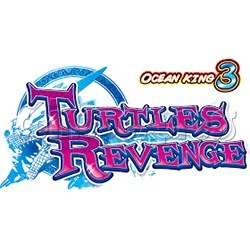 Ocean King 3: Turtles Revenge full game board kit is a latest game machine from Ocean King fish hunter game series released by IGS, it is following on from the popular Ocean King 3 : Monster Awaken fish hunter game, features in advance the difficulty level to Level 26, addition of powered up feature fish and boss characters in 3D graphic display, double time with more odds and hopper speed supports of 10ms, has 16 new fish characters, seven powerful special weapons and new ocean scenery. Drill Crab: When a Drill Crab is caught it fires drills, penetrating the area and may have a chance to catch the fish. There are 28 Fish characters in Ocean King 3: Monster Awaken, including: Flying Fish, Clown Fish, Butterfly Fish, Fugu, Lionfish, Flatfish, Lobster, Spearfish, Octopus,Lantern Fish, Sea Turtle, Saw Shark, Devilfish, Jumbo Fish, Super Bomb Crab, Laser Crab, Drill Crab, Roulette Crab, Shark, Killer Whale, Imperial Whale, Blazing Dragon, Fire Dragon Turtle – Power Up, Almighty Octopus – Power Up, Emperor Crab – Power Up, Darkness Monster – Power Up, Ancient Crocodile – Power Up, Flaming Dragon – Power Up and Thunder Dragon – Power Up.